As if I could forget, numerous clients have brought to my attention the most anticipated sale of the year: the Nordstrom Anniversary Sale. (For those who don’t know, the Nordstrom Anniversary Sale is when new fall merchandise gets heavily discounted for a period of time. Prices go up Aug 8th.) Since not all clients were able to book me for an appointment, I promised I would post about my favorite items from the sale this week. Now, you know I almost always post about items I have tried on myself and my clients, but this post will have some items that I have not seen in person yet. I just don’t want you to miss out on anything that may sell out before I can vouch for them. Plus we can always return anything we don’t adore. This is Nordstrom after all. They provide free shipping to you, free shipping on returns and you can bring back any items you didn’t wear months later, bless their flexible hearts. 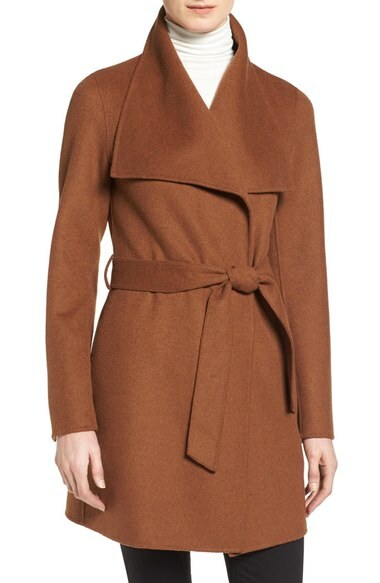 Pictured above, this Tahari wrap coat is absolutely rich. I can’t get over this lush Vicuna shade. 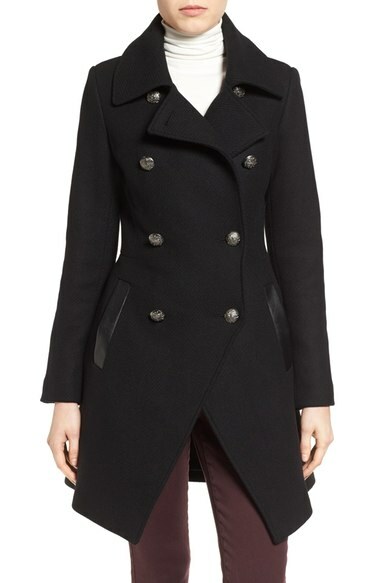 If I didn’t already have too many coats, this would be mine immediately. It also comes in petites as well as a Plus Size Option. Update: It is truly beautiful, but too itchy for my sensitive skin. Other clients don’t mind it though. I am very much looking forward to this one for both myself and clients. 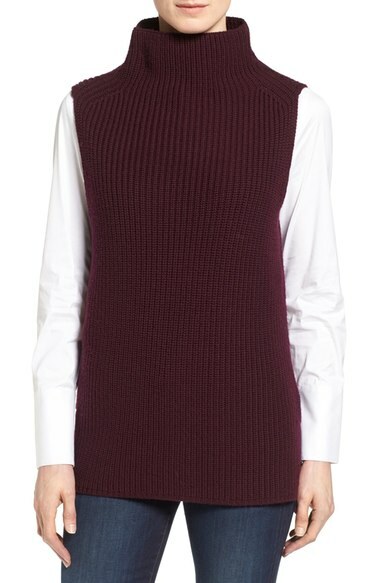 Classiques always makes a delicious sweater each fall, and this one is it this year. The bordeaux shade is delicious and I absolutely adore a sleeveless sweater, especially in San Diego. It’s not too hot for our mild weather, but I can add a long sleeve tee underneath for my trips to London. Plus it is long enough for leggings, and we all need more tops we can wear with leggings. I do worry that it is made of wool, and not cashmere, but my fingers are crossed it won’t itch. Update: Love the fit and feel, but works best with black or fair colored hair. I found my brown hair color was too muted in color next to the deep burgundy. 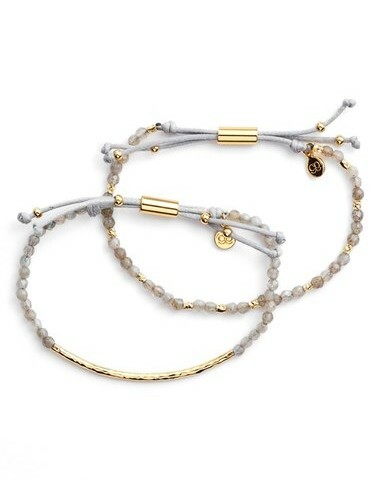 I love these stacking Gorjana bracelets, especially in the labradorite and gold combo. I often stack it with Nadri’s ‘Boho’ semiprecious stone multi-strand bracelet in black rutilated quartz. 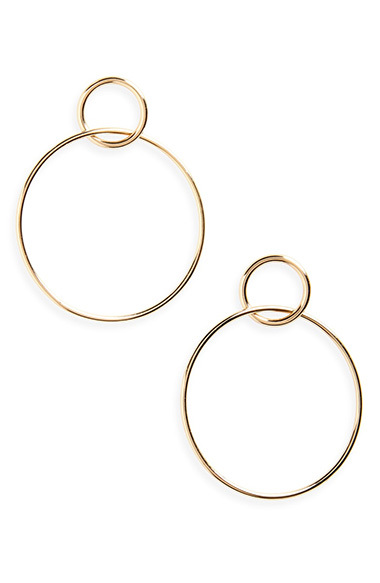 The combination is both elegant and edgy, and can be worn as everyday jewelry. Update: Fabulous! I have already used this on clients, but just wanted to remind you how fabulous they are. Note: the colors of this bracelet is cheesy. Stick with the color I have recommended. 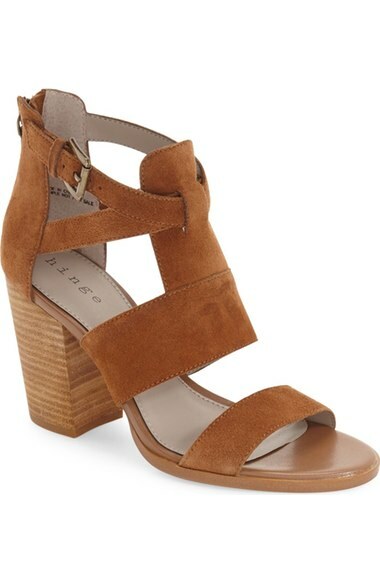 This Hinge Suede Block heel sandal is already selling out, so get on it. I wasn’t able to get it in my size, so I went with a size down with fingers crossed yet again. This baby is the answer to your Sweater-Dress-In-San-Diego prayers. I am sure you have noticed you don’t know what shoes to wear with sweater dresses that are not boots. 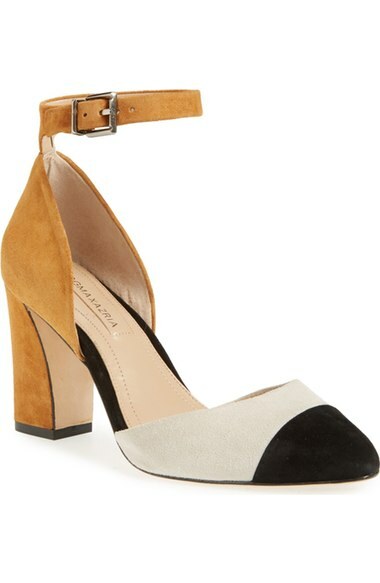 This suede block heel is your answer. Update: These are very comfortable and exactly what I wanted them to be quality wise. They are a touch too high for me, but many clients are loving it. Equipment is a well fitting (although runs a bit big) go-to for silk blouses. Each season they put out a print that I love and must put on as many clients as possible. 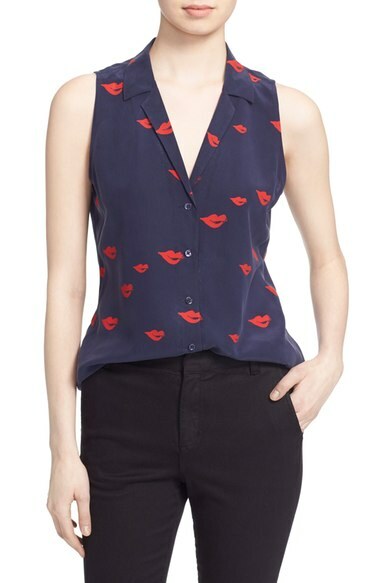 This season it is this graphic lip print. I can’t wait to wear this with my lips painted red. Cheesy? Yes, but cheeky fun chic too. Update: Absolutely love this! I love the feel, and the print is even better in person. 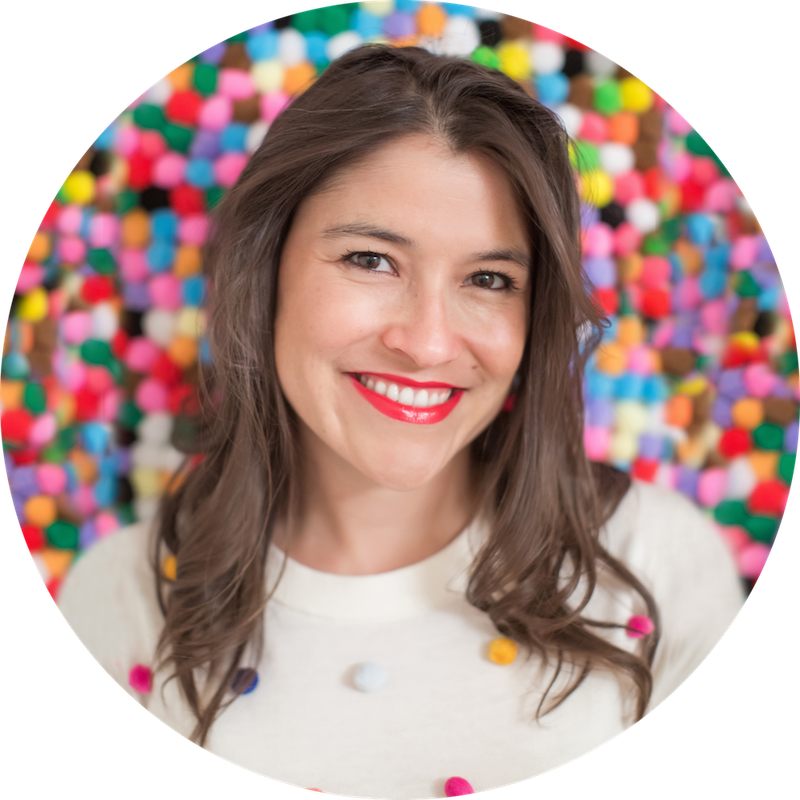 I have already worn this blouse a lot. I have been wanting some more daring shoes lately, and I love this BCBG pump with Chanel envy. I can’t wait to pair it with my fall dresses. It will also look fabulous with a pencil skirt for work. 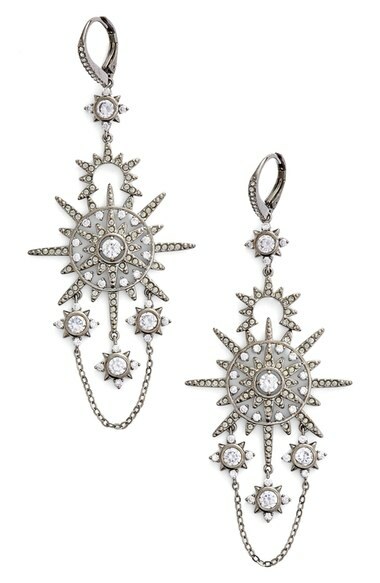 I adore this vintage looking dangle from Nadri. It almost feels Indian in its aesthetic. I can’t wait to see it in person. It’s in the mail as we speak. 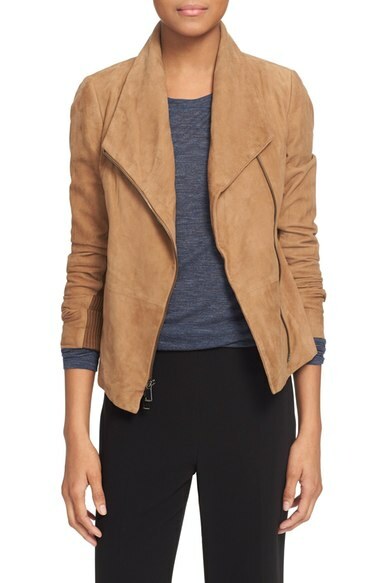 Last year I put this gorgeous Vince tan suede jacket on numerous clients due to it’s versatility. 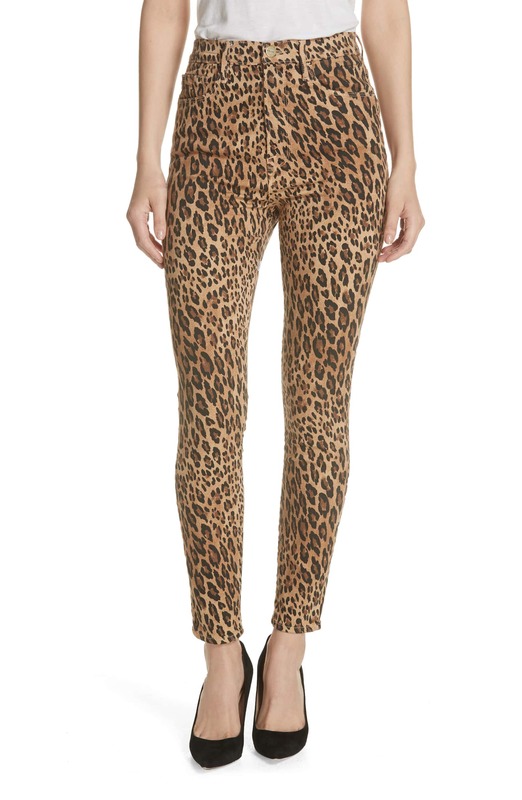 I am beyond delighted they are bringing it back this fall at this Nordstrom Anniversary sale price. As I mentioned, I adore leggings in cold weather, yet there is never a large selection of chic tunics and edgy tops long enough for our legging looks. 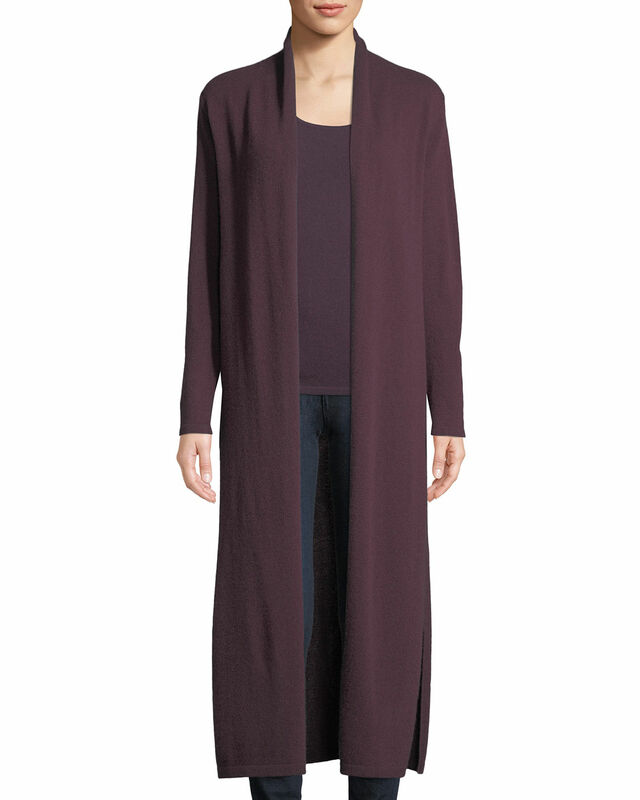 So, I am charmed to find a beautiful tunic from Eileen Fisher this season. I’ll definitely be putting this on some clients come fall. Trina Turk has single handedly brought back the military coat for me with this fantastically diabolical double-breasted goodie. I can’t wait to put this on someone. Look at that gorgeous flare in the back. And it comes in petites. 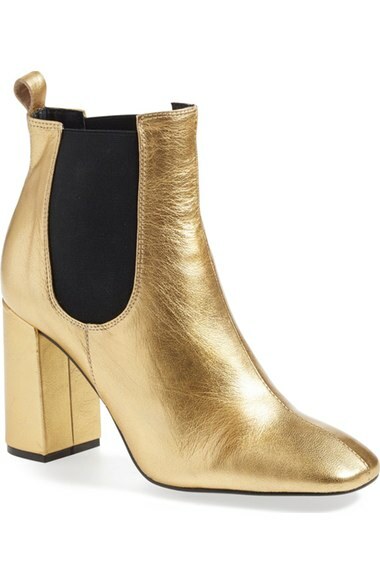 Yes, I ordered this outrageous Topshop gold block heel bootie for myself. I have found this style of boot by Topshop to be relatively comfortable, so feel free to join me if you want to emulate a little bit of Elton John. Update: These weren’t as comfortable as I hoped they would be. The heel on the shoe was too hard for me. I also think it it is for someone more flat footed. Otherwise, they really are fabulous.